Are you, or is someone your know, interested in working in the Auto Industry? Now is your chance to work for New York’s Premier Acura Dealership. 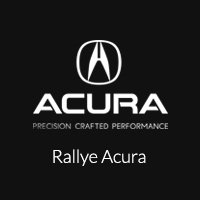 Rallye Acura is interested in finding talented individuals that are looking for a Rewarding & Challenging Career in the Automotive Industry. We have many different types of Employment Opportunities ranging from Sales to Service to Management. If you possess the unique ability to consistently provide outstanding Customer Service and a dedication to Excellence, please contact our Hiring manager to learn more.